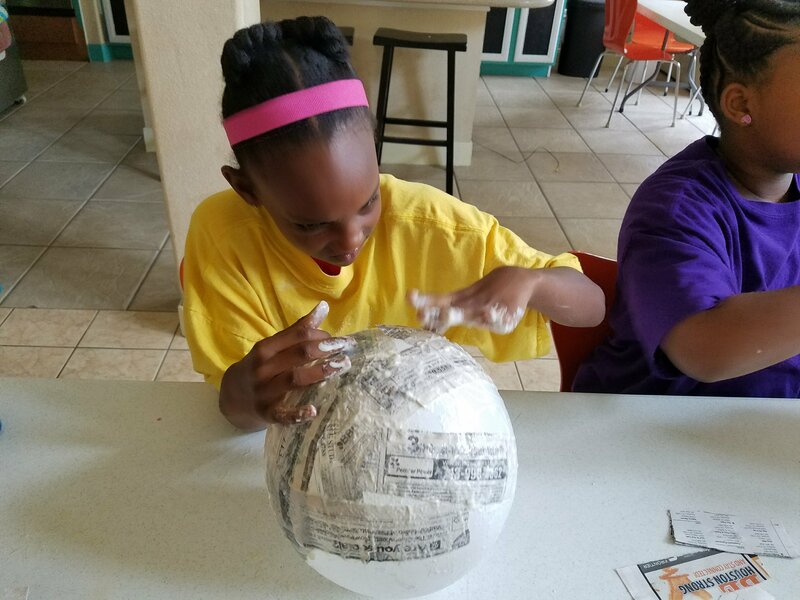 Our students love art. So, as often as possible, I try to take a break from textbooks and worksheets and allow them to get their hands dirty. 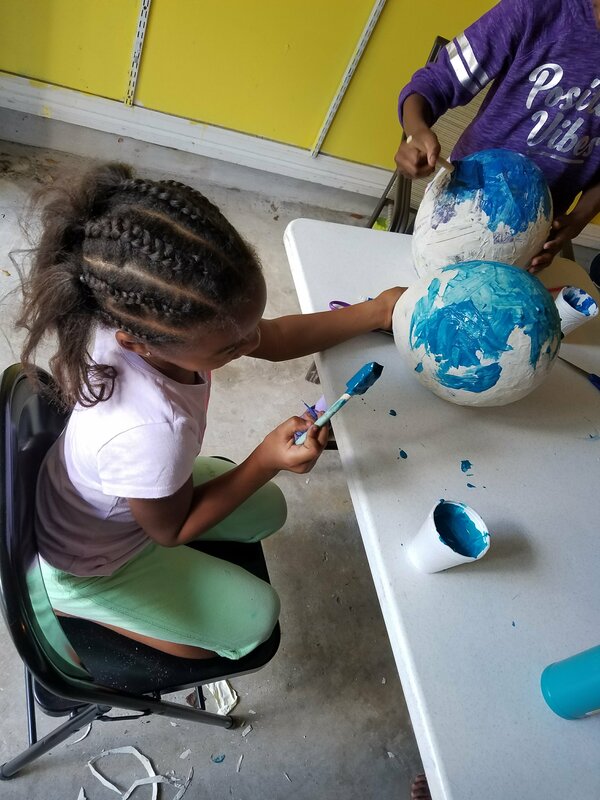 We made paper mache’ globes to reinforce our lessons on continents and oceans with a little bit of latitude and longitude sprinkled in. Step 1: Make a paste of flour and water. I use about 1 c. flour to 1/3 c. water. You can adjust to make your paste as thick or as thin as you want. Use a fork to smooth out the lumps. Step 2: Blow up the balloon. Step 3: Tear strips of newspaper and dip in flour paste. Step 4: lay the newspaper strips on the balloon. I suggest three to four layers. Step 5: Let it dry. I suggest 2-3 to dry thoroughly. Let it harden through and through. Otherwise, the damp spots could collasp when you begin to paint. 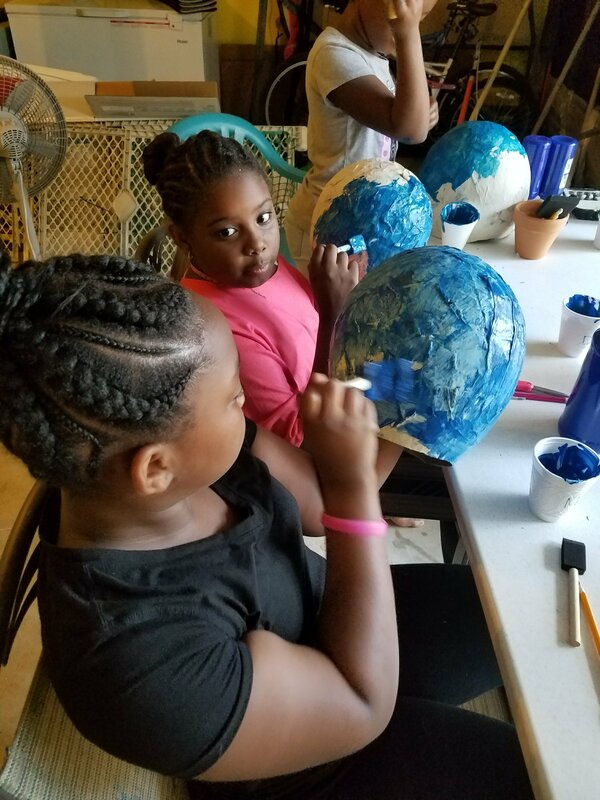 Paint the globe blue, since earth is the blue planet. Let dry 12 – 24 hours. Color and cut each continent. If you are including the continent of Zealandia, here is a great pattern you can use. Glue in place. Let dry. Use the black yarn or ribbon to glue the Equator and the Prime Meridian. Label the 5 Oceans (Arctic, Atlantic, Indian, Pacific and Southern), Equator, and Prime Meridian to mark the appropriate locations. A few days later, give your students this Continents and Oceans Quiz to test their knowledge. I represent the It Works Team on Fire!! My leaders and I are building a powerful, fast rising team! I invite you to tune in to Porshea Wilkins at 5:00 on Facebook Live TODAY. Watch her in the privacy of your home or office where there's no pressure from anyone. Afterwards, if you are interested, text me 832 453 2436. I will get back to you to answer your questions or concerns. This is a second stream of income that you can rely on.